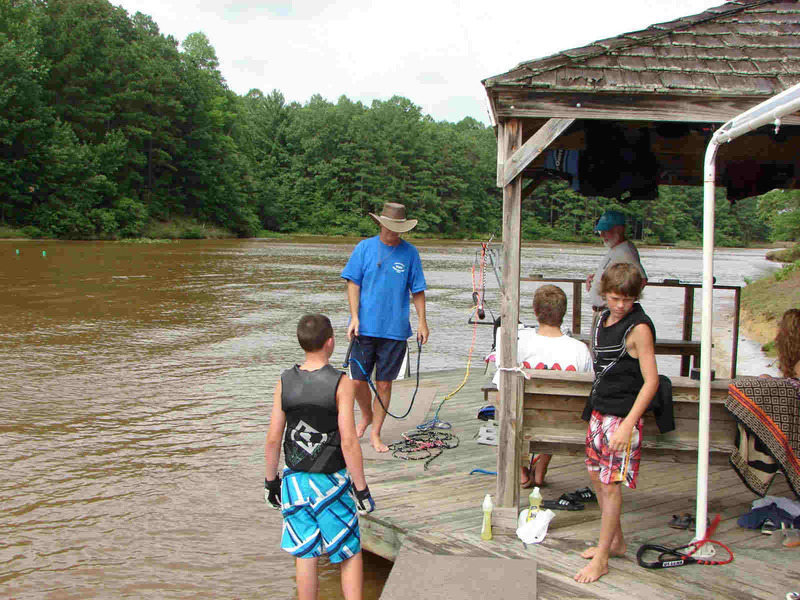 Lake Holly Ski Club (LHSC) is a privately owned ski club located in scenic Caroline County half way between Fredericksburg and Richmond Virginia. 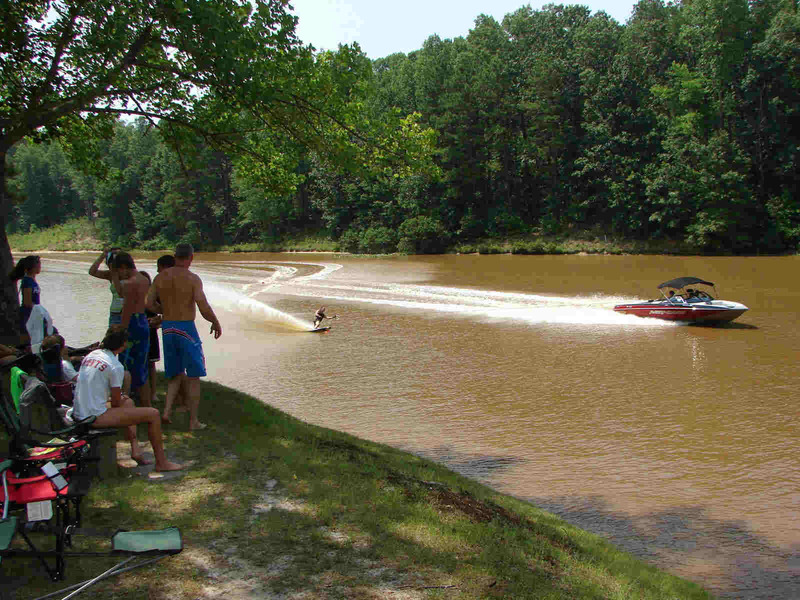 The lake was purchased in 1978 by Rick and Jerry Stansberry for the sole purpose of waterskiing. Shortly after that, a group of enthusiastic skiers from Virginia and Maryland worked together to form the Lake Holly Ski Club and to develop this skier's heaven. The first water ski tournament was held in September 1979. Since that first tournament, more than 91 tournaments have been held at Lake Holly of which eight were Eastern Regional Championships and eleven were Virginia State Championships. * (see History of Lake Holly for more details). A 20 acre fresh water lake surrounded by heavily wooded forest, Lake Holly provides excellent skiing conditions from April through October. The LHSC maintains a Record Capable/surveyed slalom course and facilities to handle both jumps and tricks for competition and training. The club purchases a new ski boat each year equipped with the latest in cruise control technology ensuring the very best in boat performance, wake characteristics and handling. 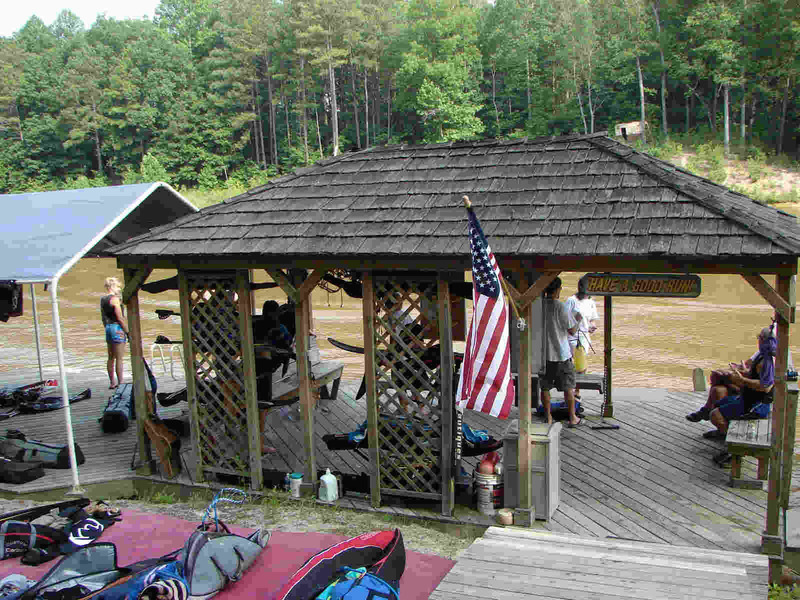 A covered starting dock equipped with a ski repair bench and changing room provides skiers with all of the benefits of a top notch club. Overlooking the slalom, jump and tricks course sits a large covered pavilion which is used extensively during tournaments and banquets. Finally, the LHSC has been making strides towards optimizing the judging of tournaments through electronic monitoring at key points along the lake thus reducing the man power required to efficiently run a ski tournament. 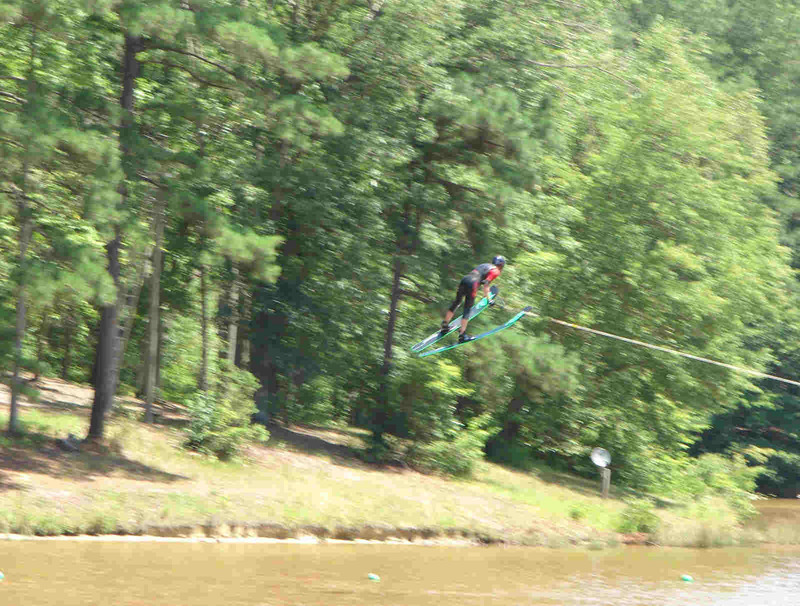 In addition to hosting between three and four tournaments each year, Lake Holly typically sponsors a number of ski clinics including junior development clinics and collegiate tournaments. See the current tournament schedule for information on tournaments and special events to be held at Lake Holly this year. Lake Holly Memberships consist of seasonal and full time members (owners). All club members assist in maintaining the facilities at the lake and help run tournaments. The Lake Holly Ski Club has a board of directors consisting of a President, Treasurer, Secretary, Safety Officer, Grounds and Technical who serve 2 year terms and are voted into office by the members. The club typically conducts between 2 and 3 board meetings each year to discuss business, plan tournaments, and identify projects. * Note - Tournament statistics are as of completion of the 2018 season.